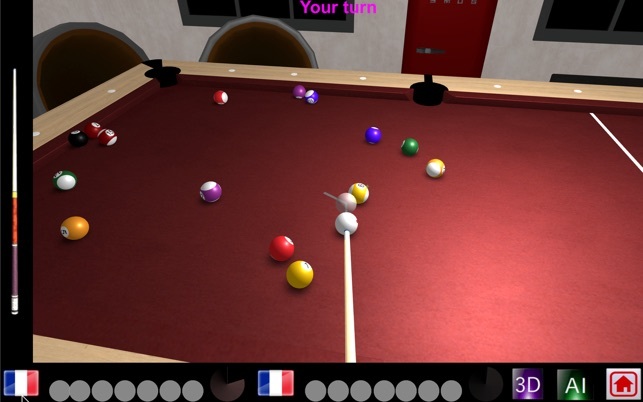 Ball react to cues impulse the way they would in reality and you can achieve in this billiard game all ball effects you would do on real pool tables. Controls are designed to be intuitive and simple but yet allow you show off all your billards techniques including back spin, top spin, left/right spins and more. 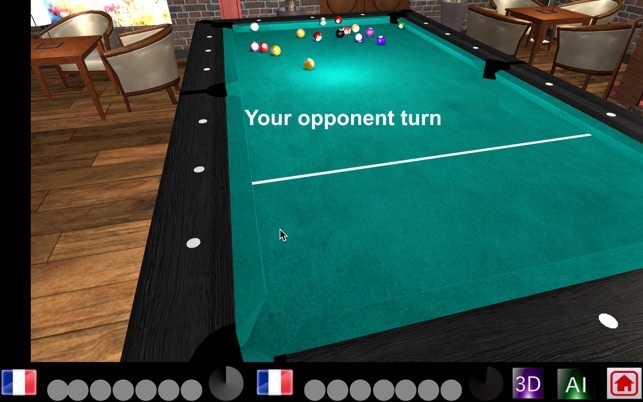 At start and after opponent fault, move the cue ball by sliding the player hand over the table. Once in required position, rotate your cue to achieve the correct angle. Then slide the left-hand cue slider to achieve the desired impulse. 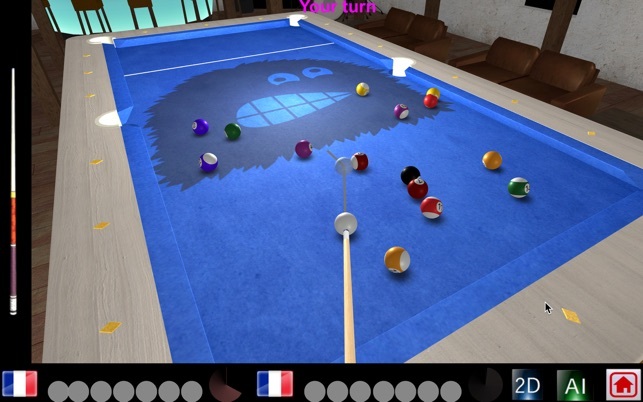 Try Pool 8 Ball now and feel joys of on-line victories! A little hard to figure out how to use at first, theres no directions or introduction, but once you figure it out its pretty much what it says, pool. Only thing with me is it will only work correctly when at its highest resolution setting, I don’t know if that has something to do with the High Sierra or not though. Purchased it for my MacBook Air. First time playing it the cue stick was impossible to align the way you wanted so natuarlly I lost with all balls on the table. I tried resetting the image quality and it locked up my machine to the point that I had to perform a Force Quit as it was taking up 100% of both processors. I deleted the app and would NOT recommend this to anyone. Money lost.